Satiate your taste buds with Philippines’ best-tasting, crispylicious and juicylicious Jollibee Delivericious Deals! Between the crispy coating and deliciously juicy meat, Jollibee’s famous Chicken Joy bucket is simply an irresistible comfort food. And lucky for us, we can satisfy all our cravings by getting our chicken joy favorites delivered to our door with FREEBIES! 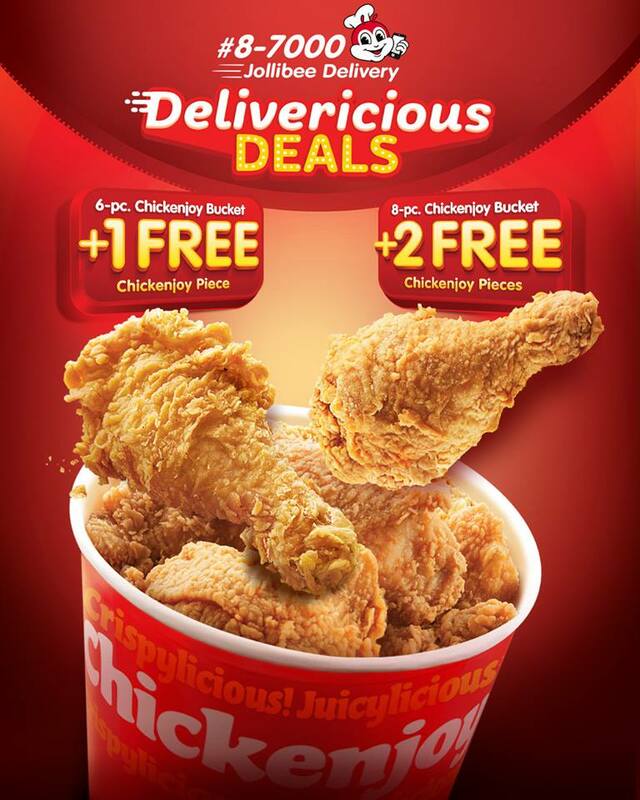 Jollibee Delivericious Deals will let us enjoy two (2) FREE additional pieces of Chickenjoy on every purchase of 8-pc. Chickenjoy Bucket Solo. Indulge in one (1) FREE additional piece if you order 6-pc. Chickenjoy Bucket Solo. The 6+1, 8+2 Chickenjoy Promo has extended until March 31, 2019 and is exclusive for Jollibee Delivery transactions only. You just need to dial hashtag (#) then 87000 to place your order. 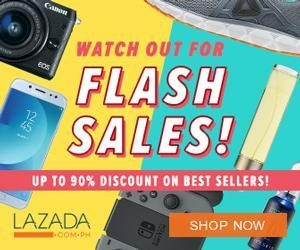 NOTE: In the purchase of goods and services which are on promotional discount, senior citizens can avail of the promotional discount, or the discount provided under the expanded Senior Citizen Act of 2010, whichever is higher. 'bucket chicken jollibee price phil' - 'jollibee menu bucket meal with pro' -Enjoy!